A Kona man and woman are in police custody after being arrested and charged with burglary and other offenses. 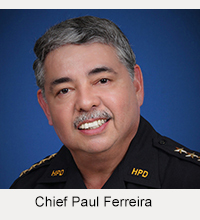 The offenses stem from two burglaries last year between November 3 and November 5 at apartment complexes on Aliʻi Drive between Lunapule Road and Royal Poinciana Drive. Taken in the burglaries were personal items, including electronics equipment and credit cards. The stolen credit cards were later used at a variety of retail locations in Kailua-Kona. 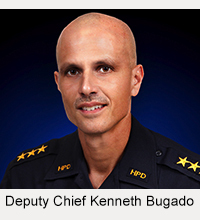 An investigation led to the identity of two suspects. Kona patrol officers arrested the first suspect, 31-year-old Brandon Terrance Halmas of Kailua-Kona, Wednesday afternoon (May 18). Thursday morning (May 19), 23-year-old Donalea Elizabeth Postma of Kailua-Kona was also arrested. On Wednesday, Vice Section detectives charged Halmas in an unrelated case with promoting a dangerous drug, possessing drug paraphernalia and possessing an imitation controlled substance. Thursday afternoon, detectives from the Area II Criminal Investigations Section charged him with fraudulent use of a credit card, second-degree theft, fourth degree theft, two counts of first-degree burglary and two counts of theft of a credit card. His combined bail was set at $104,000. Also on Thursday, detectives charged Postma with fraudulent use of a credit card, second-degree forgery, third-degree ID theft and two counts of theft of a credit card. Her bail was set at $42,000. Halmas and Postma are being held at the Kona police cellblock pending their initial court appearance.